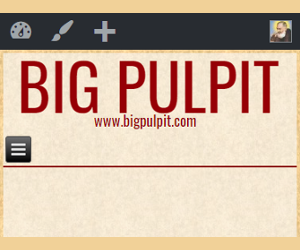 Tito Edwards publishes websites for the New Evangelization under the Little Vatican apostolate such as BigPulpit.com, The American Catholic, Ignitum Today, and Catholic Stand. He is also a regular contributor for the National Catholic Register, posting the ‘Best of Catholic Blogging’ daily. Tito can be reached at tito[dot]benedictus[at]gmail[dot]com. McClarey is a small town lawyer in Central Illinois. He received both his BA and JD from the University of Illinois at Champaign-Urbana. He is happily married with three kids. Active in the pro-life movement since 1973, he is currently President of the board of directors of the crisis pregnancy center in his county. Catholic from birth he has served as a lector and a catechism teacher at his parish. He is easily amused, as demonstrated by the fact that he does blogging for the fun of it. Has written for a diocesan newspaper in the past. She is a faithful Catholic. Ben Butera is a graduate of the Rochester Institute of Technology and currently a Solutions Development Manager for a global 500 company. In 2010 he was certified as an instructor and Program Leader for his company’s initiative in analytical problem solving and decision making. In 2016 his first book was published entitled “Faith with Good Reason: Finding Truth Through an Analytical Lens”. Ben is also co-author of “Two Catholic Men and a Blog”; a blog about Catholic faith and reason. He is a religious education catechist, a husband, a father and lives with his loving wife and three children in the northwest suburbs of Chicago. Retired, cranky, old physicist. Convert to Catholicism in 1995. Trying to show that there is no contradiction between what science tells us about the world and our Catholic faith. Intermittent blogs and adult education classes to achieve this end (see http://rationalcatholic.blogspot.com/ and http://home.ptd.net/~rkurland). Extraordinary Minister of Communion, volunteer to federal prison and hospital; lector, EOMC. Sometimes player of bass clarinet, alto clarinet, clarinet, bass, tenor bowed psaltery for parish instrumental group and local folk group. Christopher Blosser, a convert to the Catholic faith, was received into the Church in 1997. Born in Japan to missionary kids, he spent his early years in Pennsylvania and the better part of his childhood in Hickory, NC. He currently resides with his wife and son in New York City. His only claim to fame is having founded a little website in 2000, cheekily called the Cardinal Ratzinger Fan Club— little realizing that his favorite theologian would ultimately be elected to the See of Peter. He blogs regularly at Against The Grain and Catholics in the Public Square. A recovering radical, he is figuring out what it means to be Catholic and American. He can be contacted at blostopher “at” gmail.com. Darwin is a cradle Catholic, husband and father of four. He is a Californian by birth but a Texan by choice. Since 2005 Darwin has blogged at DarwinCatholic on demographics, religion, science, philosophy, politics and Catholicism. He can be contacted at darwincatholic “at” gmail.com. Former sailor, trained calibration tech, current mother, current geek; has a former sailor current geek computer tech husband, a pack of kids and cats, all spoiled. I’ve been “Foxfier” since before Mozilla existed, let alone renamed their browser “Firefox.” It’s a purposeful misspelling of the photo-luminescent effect– for something that might look scary but is harmless. I got involved in ad hoc evangelization when fellow geeks and shipmates told me what claims had driven them away from religion and I needed something more solid than “that’s not true”– then I had some outreach success geeking out about the neat little things in Catholicism. I’m not every concise, I am no good at social cues but I mean well and I can usually get you the documentation. (If I’m going to look it up, I may as well share it.) You can reach me at gmail.com and I blog (mostly reposting) at a wordpress site for the ‘nym.